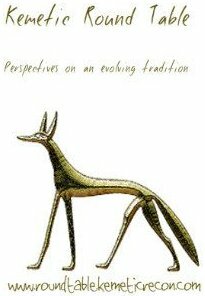 For those of us in the Northern Hemisphere, our planting season isn’t in synch with the calendar of ancient Egypt. By the time November rolls around it’s way too late to plant anything. And many people don’t have the space for a garden anyway. How do we celebrate the renewal of life and resurrection? There were several ancient rituals that involved sprouting grain. One was the practice of making “corn” mummies- in which wheat grain was mixed with clay and sand, soaked, and sprouted. “Osiris Beds” were another. 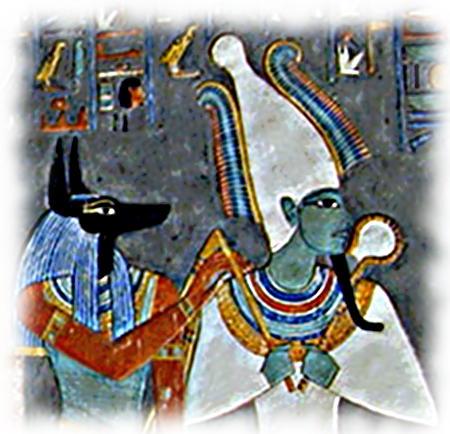 Since modern Kemetics don’t often have easy access to temples and tombs to bury corn mummies in, I’ve worked up a different miracle-of-life/offering project you might like to try. I’m doing this early so you can do a couple trial runs. To start, get some wheat berries. (that’s what they call wheat seed in most health-food stores). I was able to find Kamut, which is supposed to be close to ancient grain. 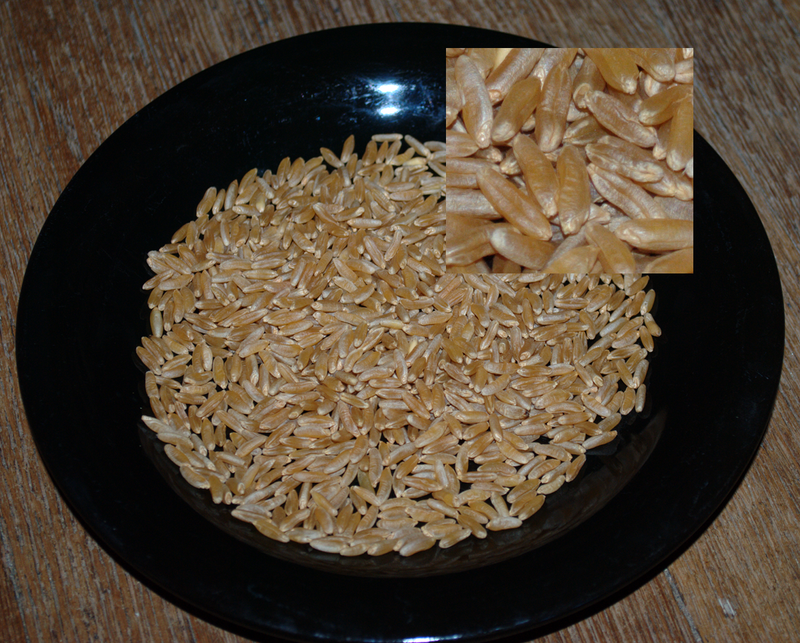 The grain is about twice as large as “normal” cultivated wheat. You can use a normal wheat variety, or spelt, or whatever wheat variety is available. Kamut wheat, about a third cup. You don’t want to sprout a lot of it. I’m deliberately doing too much for this, because I’m going to divert some into a little side-project for Bast. Two tablespoons, up to a quarter cup, would be fine. A close-up of the Kamut berries. When you soak the grain, it’s going to get larger. And when it starts to sprout it will get larger yet. 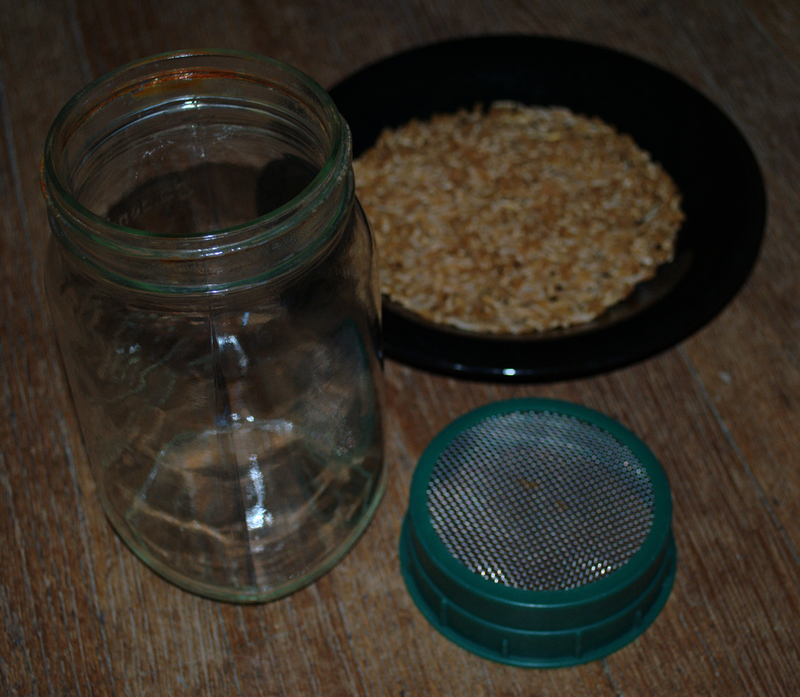 A quart jar, a sprouting lid, and the wheat. Here’s our equipment for the project. You could use any jar, but I like wide-mouth canning jars for this. 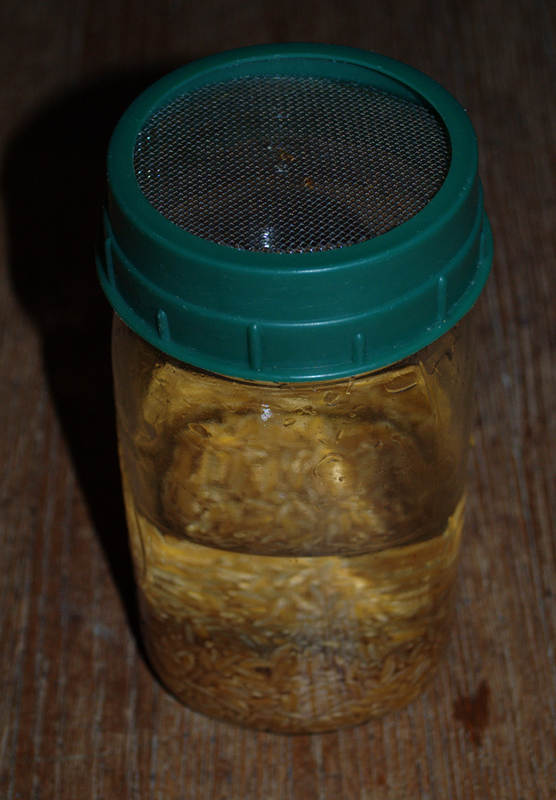 Health-food stores often sell lids with screens to make sprouts. You could also use some cheesecloth and a rubber band. You want some air circulation, and you want to be able to pour the water out without losing the wheat. 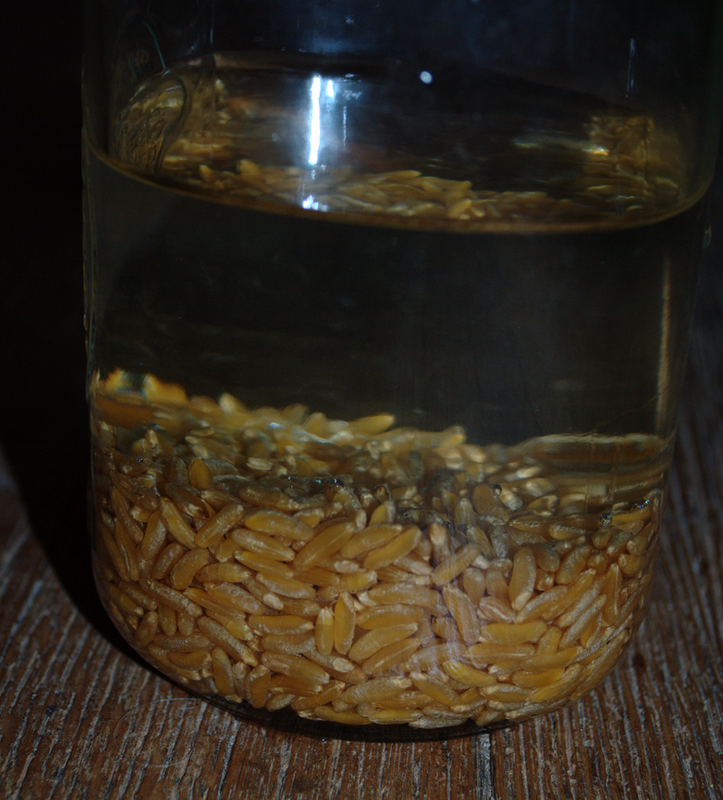 Cover the wheat with water, and let it soak overnight. Between 12 and 24 hours. Here’s the grain from the side. Remember how much is in the jar. (this is WAY too much wheat!) 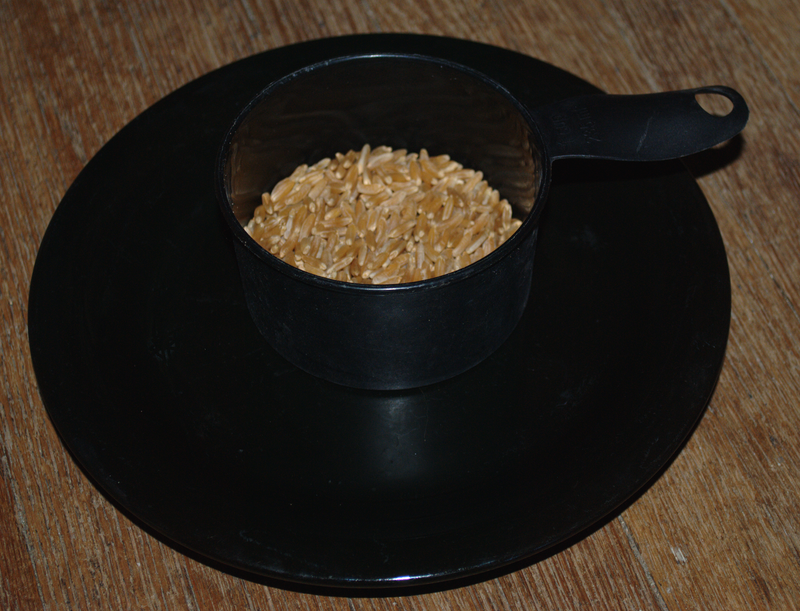 If you get extra wheat, you can cook it and use it like rice- another good offering treat! This entry was posted in Afterlife, DIY, Gods & Goddesses, Modern Practice, Offerings, Ritual, Theology and tagged Ausir, Bast, DIY, offerings, Osiris, ritual, Wesir by helmsin2. Bookmark the permalink.